I've found a few individuals of this species in Romania in late may and early June, but it was late for the spring brood and the butterflies were old. Identification was hard, although the hooked tip is notable. 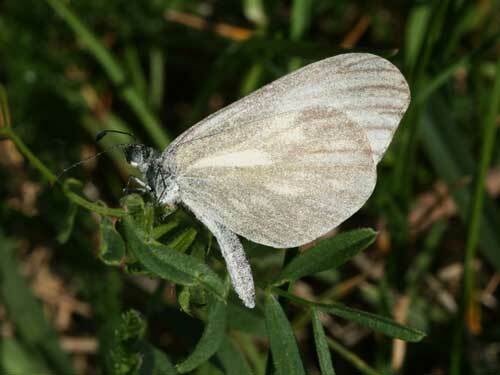 Identification & Similar species: Very difficult in the summer generations to separate from the Wood White, L. sinapis. 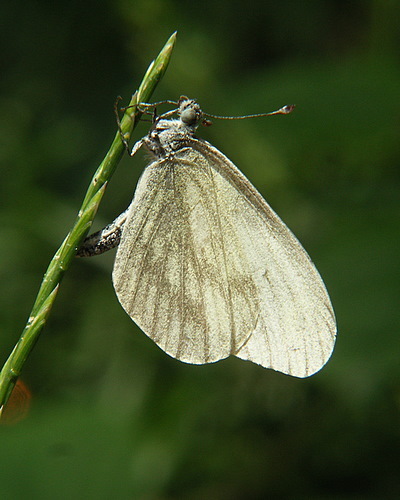 However, it is said that the upperside is paper white. It is generally the larger of the two species. 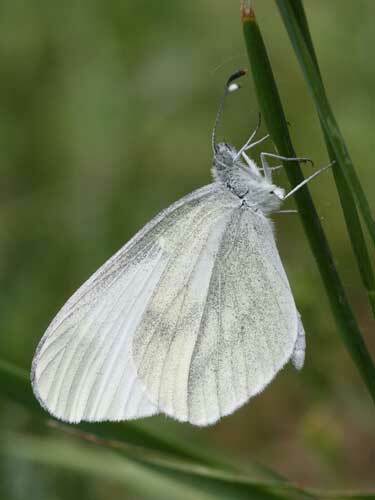 In spring there is a more or less distinct hook to the apex of the forewing. Distribution & Flight: Very local in east Europe from Slovenia and east Austria, south Slovakia, Hungary, Romania and other countries of the former Yugoslav republic. Possibly from Bulgaria but no certain records upto 2006. Double brooded flying in mid April/ May and again in June/ July. 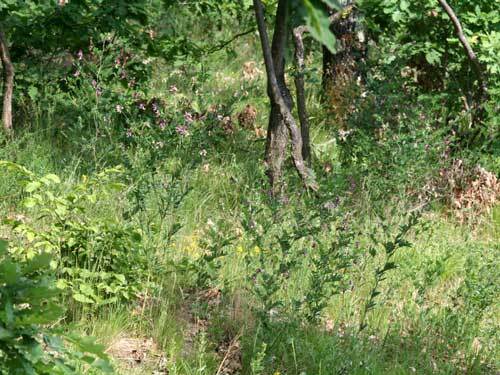 Habitat & Behaviour: Meadows in forests and forest edges where the larval food plant grows in semi-shade. 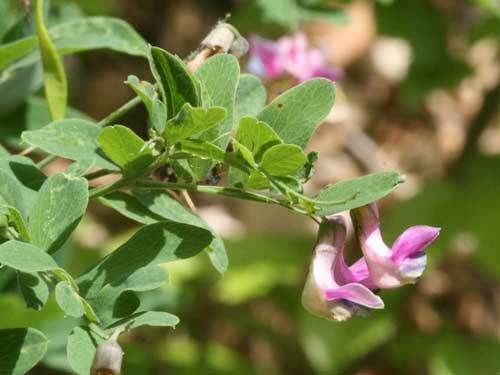 Larvae feed on the spring pea: Lathyrus verna and L. niger. 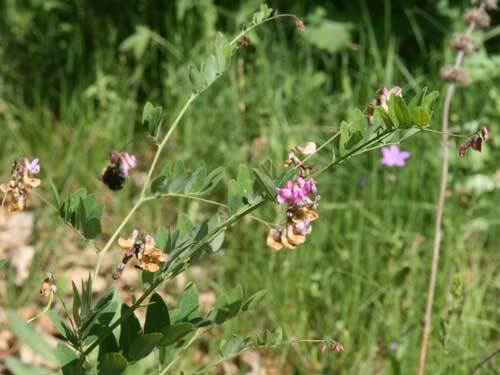 Larval food plant, black pea, Lathyrus niger, which grows at woodland edges or under light woodland.